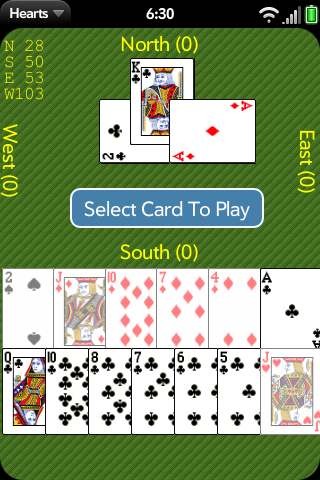 Play hearts on your Web OS phone. Compete against 3 computer opponnents to avoid the Queen and hearts. Smooth animation and easy to click cards make this fun for the whole family.